The Big Issue is a financially independent charity built around the belief that earning an income is a key step in a person’s journey towards a better life. Its magazine is sold by people facing poverty and homelessness around the world as a way to make their living. 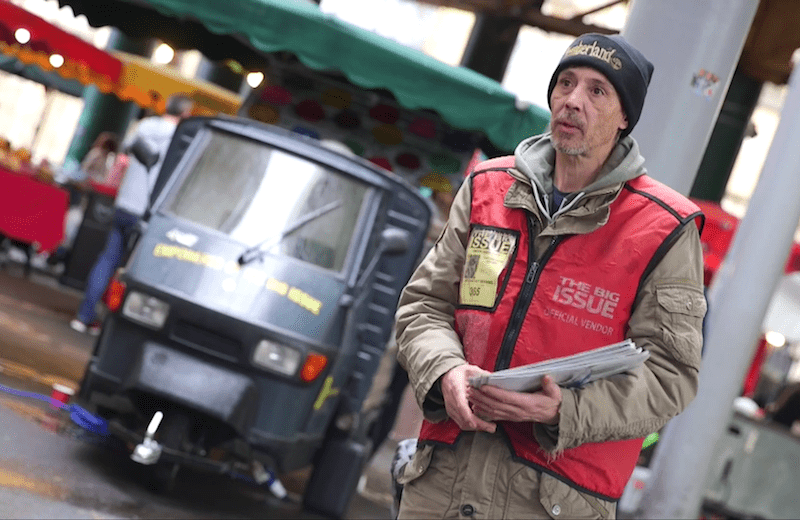 We recently produced a promotional film for the Big Issue to tie in with the launch of their new website. The film gives a potted history of the Big Issue, from its founding in 1991 to the global impact it has today. The film was made with the help of SElect18, the production company born out of the Greenwich drugs and alcohol filmmaking training programme which Chocolate Film’s ran. In this film, find out how The Big Issue has been offering “a hand up not a handout” since 1991. Over 200 million copies have been sold in Britain alone. The Big Issue has had a profound social effect.